So let me paint you a picture. It's Valentine's Day, and I'm scrolling through Twitter because I've got nothing better to do, when suddenly I stumble across this tweet. Well, since I wasn't really doing anything, I decided to go and check it. And oh boy, it was the best decision I've ever made. 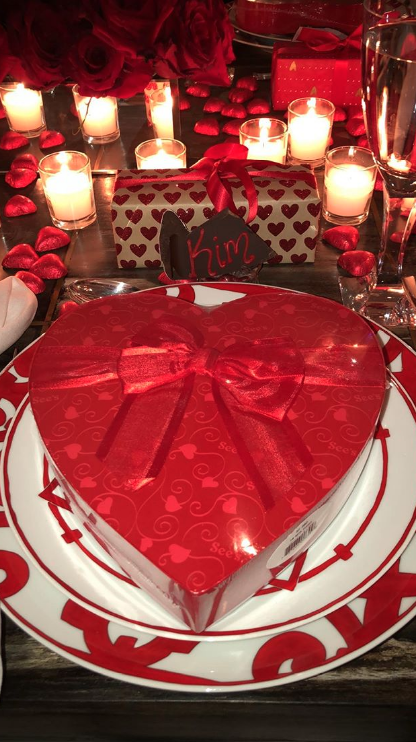 It turns out that Kris Jenner was throwing a Valentine's Day party. It looked pretty civilised TBH, with a fancy dinner table and chocolate place settings. 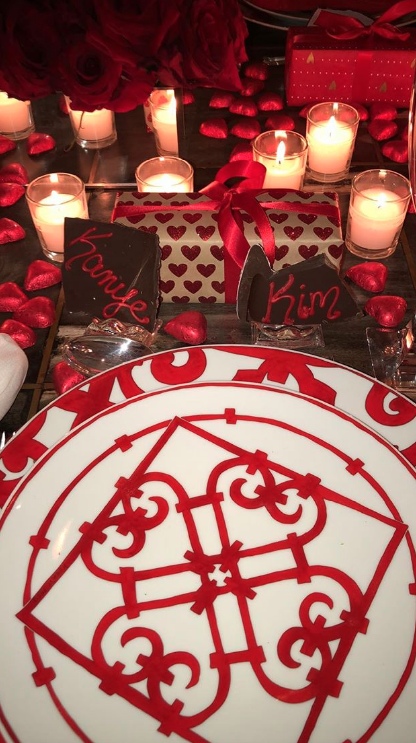 And from what I could see on Kim's Instagram story, Kim, Kanye, Rob, Khloé, and Tristan were among the guests. Look how adorable everything looked! But anyway, back to Khloé's Instagram. After dinner the karaoke started! Was I going to be treated to Kris Jenner singing some of my favourite songs? It turns out yes, because she sang Spice Girls and Britney Spears. I was living my life. And it looked like Kris was having a...very, very good time. In fact, when "Anaconda" started playing, she even gave us her best twerk. Which obviously tired her out. At this point I think it's clear that Kris had had a little too much Valentine's spirit! But don't panic – she woke back up and was ready to keep the party going! Actually I'm not sure if she's asleep or awake at this point. Even Khloé wasn't sure if Kris had just fallen asleep sitting up. But then she woke up properly to give us an iconic rendition of "...Baby One More Time". So was Kris just high off love and the party spirit? Well, according to Kim's Instagram story, I think it's safe to assume she'd maybe had a little orange juice to get the party started. "I love you, Khloé... I'm not sure why I love you" is my new favourite Kris Jenner quote. There's no party like a Kris Jenner party! Now, how do we get invited to the next one?